The Avid Pro Tools with Annual Upgrade and Support Plan offers Pro Tools owners access to all updates for 12 months along with unlimited support. This plan is for Students or Teachers only. 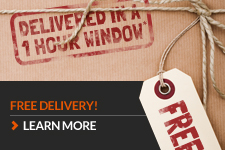 IMPORTANT: Proof of educational status will be required in order to despatch your order. Please note that your order may be delayed until this is obtained. This plan is for Students and Teachers only. Proof of educational status will be required to authorise and use the software. Please confirm your eligibility by visiting avid/US/resources/Academic-Eligibility. What does it take for students and teachers to realise their full creative potential? A passion for music creation, imaginative teaching programs to maximise skills and cutting edge technology to gain the advantage. That&apos;s why serious students and teachers choose Avid Pro Tools. The tools the pros use to create your favourite music and film/TV soundtracks. With having dreams of a successful career in music, you need to be proficient in the tools the industry uses and since more creative professionals use Pro Tools than any other provider, becoming an expert will give you the advantage and professional edge. Producers, engineers and artists choose Pro Tools because it enables them to create great sounding productions consistently. With Pro Tools Student/Teacher, you get all of the same tools to create the best sounding mixes possible. With the powerful Avid Audio Engine and 64 bit performance, you can create and handle huge sessions - with epic numbers of virtual instruments, effects and thousands of files. Compose music with built-in MIDI and notation tools, as well as virtual instruments that provide almost every sound imaginable. From drums, piano and synths to samples of real instruments, every music genre is possible. Turning less than perfect takes into a flawless performance is easy. Whether you&apos;re recording live takes or MIDI tracks, you can punch record your way to perfection, quantise notes and fix pitches seamlessly. Create and mix voice-overs, ADR, Foley, sound design, music and other audio for video. With the Avid Video Engine - the same core engine found in Media Composer - you can play and edit HD video right in the Pro Tools timeline. Pro Tools comes with over 75 professional AAX effects and sound processing plug-ins. Polish mixes with what&apos;s included and expand your sonic palette with hundreds more. With Automatic Delay Compensation, mixes will sound great, with perfect accuracy - no matter how many plug-ins are used. 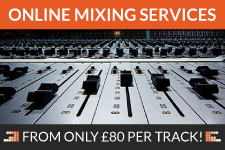 And because every Pro Tools setting can be automated, it&apos;s easy to dial in the perfect mix. Pro Tools Student/Teacher comes with an Avid Upgrade and Support plan that provides future updates and upgrades - for one year from the time of purchase. The plan also includes Avid standard support, providing expert help and advice whenever wherever and however you need it. For complete system requirements and compatibility info, visit avid.com/ProToolsSoftware.